“The revolution will not be televised”, goes the old saying – well, it’s certainly being tweeted today. 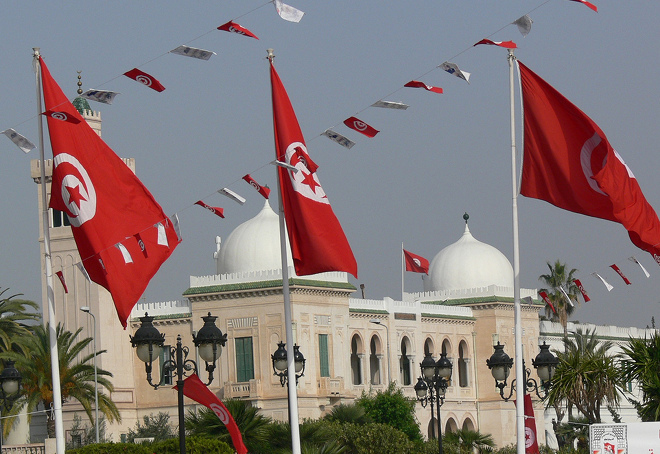 Tunisia is in crisis right now and the raw, hard facts are being spread live as they happen via Twitter – but the fast-moving, confusing series of events shows just how difficult it can be to follow breaking news via Twitter. It appears that right now in Tunisia the president has left the country, the military are in charge, rioting is taking place – in short, it sounds like chaos. As you might expect in 2011, the people of Tunisia are uniting around a Twitter hashtag to discuss the events, express their feelings and share news reports about what’s happening. As you can see in the video below, following the stream of tweets using the #Sidibouzid hashtag is an exhilarating experience – real, raw human feeling being expressed and then amplified by Twitter’s megaphone. The problem is that it’s too fast to keep track of. Even if you pause the tweets, or simply use a non-real-time Twitter client to break up the flow, making sense of the events is impossible. Some people are tweeting news, others what they’re feeling, there’s even a few cases of what just looks like “hashtag spam” saying nothing of use whatsoever. The fact that some reports from the former French colony aren’t in English make things all the more difficult to parse. Yes, as much as Twitter may be a fantastic place to keep track of news in real-time, we still need good quality filters to block out the noise and make sense of it all. When events are as confusing and fast-moving as in Tunisia right now, Twitter as a news-sharing service simply breaks down. A good example of this is demonstrated in the fact that credible Twitter reports of a military coup began a whole two days before anything actually began to kick off, as we reported at the time. At the moment it’s still mainstream media that we turn to when we want to get an authoritative view of what’s happening in situations like this. A firehose of Twitter talk is simple too raw to make sense of in real-time. Liveblogs like The Guardian’s, pulling together news from a range of sources, are a good way of keeping track of events, while Al Jazeera is doing a good job, as you’d expect from the well-respected Middle East news service. I suspect that there’s a real gap in the market for an automated service that can make sense of live, raw tweets from an emerging situation simply by analysing factors like location, linguistic trends and key phrases to help filter meaningful stories from the situation automatically. As it is, we’re a long way from that. Still, seeing a regime overthrown live via Twitter is certainly yet another landmark moment in the service’s brief but eventful history.